Besides sharing my style and personal interests, i planned on increasing the scope of my blog this year by featuring people with information i know will be beneficial to both myself and my readers. So here is the first of many more guest posts to come. Trying to keep up with fashion trends is like trying to drink from a fire-hose, you just can’t keep up. Too much to drink in at any one time. But hey, you’re a Fashionista and i know you want to keep up with all things ‘Fashion’. That’s why i’ve put together a series of articles about Trends in Fashion for 2016. Welcome to Part One and stay tuned for the upcoming articles! Coined by the fashion gurus over at PopSugar, “lampshading” refers to the super popular style of wearing a pair of over the knee boots combined with a sweatshirt dress or oversize sweater or top. Kind of looks like a lampshade right? Made popular by the Kardashian clan, many movie stars in Hollywood are now opting for this casual, yet chic, street style look that subtly hides any evidence of your wearing a bottom. “Groutfitting” comes from combining the words gray and outfit. 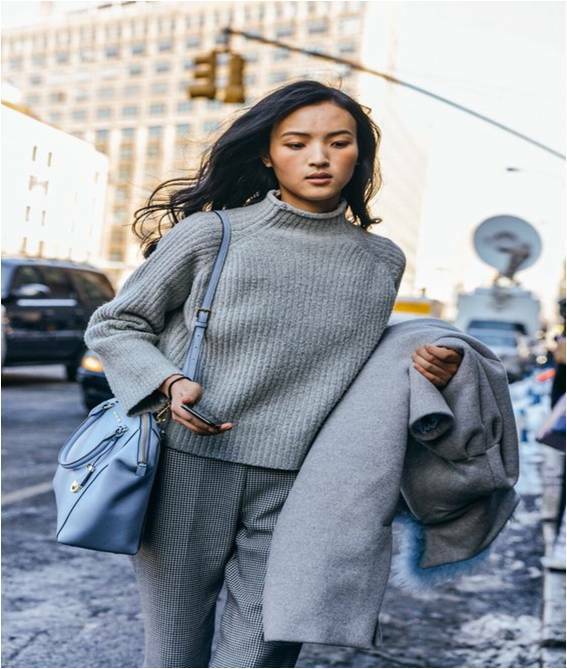 If you’re ‘groutfitting’, you wear two or more articles of clothing in varying shades of gray, so the style is this overall monochromatic, yet stylish look. In the past, groutfitting consisted of a t-shirt and sweatpants but now this look could be your new go-to style! “Neckssorize” by draping skinny scarves, neckerchiefs, chokers or other (non-necklace) accessories around your neck. This simple (neck)accessory can really add that final statement to your look. All you have to do for this style is take an old baggy button down shirt, wrap-twist, and tuck it in. You may have to use a safety pin around the top button to prevent any wardrobe “fails”. 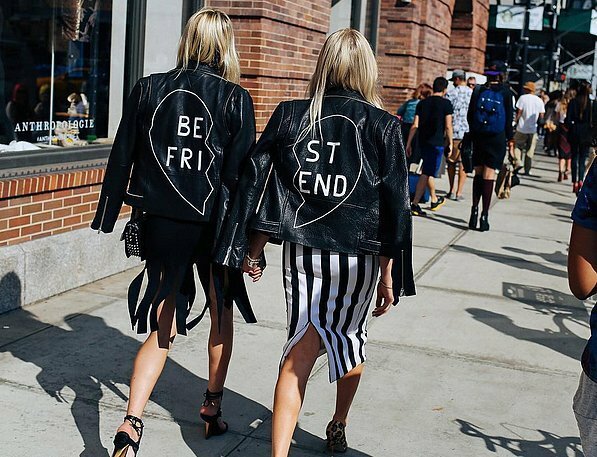 Want to try the Blogger Jacket style out? It’s easy. Just throw your jacket over your shoulders to instantly transform your outfit into something more chic and stylized. Wow. This is interesting. I think I like groutfitting the best! I love the cool terms! The Blogger jacket thing is the one I do most times then I’d love to try the wrap & tuck too, so creative. If I had a car & we had cooler weather in Nigeria, trust me the Lampshading would be perfect for me. Lovely compilation Lade.